Topics you'll want to know heading to Horsham's opener. With the 2016 Motul MX Nationals jumping out of the start gates this Sunday at Horsham in Victoria, MotoOnline.com.au takes one final look at some of the most engaging pre-season bench racing topics. It’s shaping up to be one heck of a season! Q: How many riders will battle for the MX1 crown? A: There are a heap of riders more than capable of winning races this season, but realistically only a few will be in the running for the championship at Coolum’s final round. Short list at this point has to be Kirk Gibbs (KTM Motocross Racing Team), Dean Ferris (CDR Yamaha), Todd Waters (Wilsons Cool Air Motul Factory Suzuki Team), Matt Moss (NPE Monster Energy Kawasaki), Kade Mosig (NPE Monster Energy Kawasaki) and Dan Reardon (CDR Yamaha). It won’t be until a number of rounds in that we’ll really be able to split this world-class crew. Q: Where will Metcalfe slot in amongst the regulars? A: You’d have to think South Australian international Brett Metcalfe will be a favourite for race wins as part of SD3 Husqvarna across the first four rounds. He’s highly credentialled, knows the team and has been training hard in the US over the off-season, so all going well he will be right there with the best of the title contenders. As a matter of fact, not to apply too much pressure, but it’d be no surprise to see him leading the points when he departs for the Canadian nationals following Murray Bridge. Q: Are we experiencing a factory resurgence in MX2? A: Most certainly. Serco Yamaha remains an official entry fielding a new-look rider combination of Wade Hunter and Wilson Todd, this year joined by NPE Monster Energy Kawasaki with Jake Moss and KTM Motocross Racing Team with Caleb Ward as factory efforts. Add in a huge selection of factory-supported satellite teams and we’re on for an incredible year of action. Q: Will Motul’s title sponsorship help improve the series? A: After a year without naming-rights backing, it was a nice surprise to see Motul elevate its support of the Australian MX Nationals for 2016 in a three-year deal. Link International has long backed Williams Event Management, so it’s a fitting addition to the championship and the brand fits well, too. Expect small improvements here, there and everywhere throughout the series, as anytime a business receives a funding injection it’s a huge help to improve the end product. Q: Can the returning MXGP riders – Ferris and Waters – run away with it? A: In terms of the championship, these are the guys on everybody’s mind. They are coming off years in the world championship and have proven themselves worthy of factory rides overseas. It’s going to go one of two ways – either they will catch the Aussie regulars off guard and dominate, or the likes of Moss and co will be better than many even expect. It’s too hard to say at this point. Q: Where does the MX2 four-stroke/two-stroke debate stand now? A: One major change on this front is that Dylan Wills is now on a 250 SX-F with Raceline Pirelli KTM in 2016. He was extremely impressive on the two-stroke last year, but for the most part – from what we can understand – the major title challengers will all be four-stroke riders this season. However, keep an eye on Jayden Rykers with Davey Motorsports on a 250 SX. Q: What do we know about the new factory Honda team? 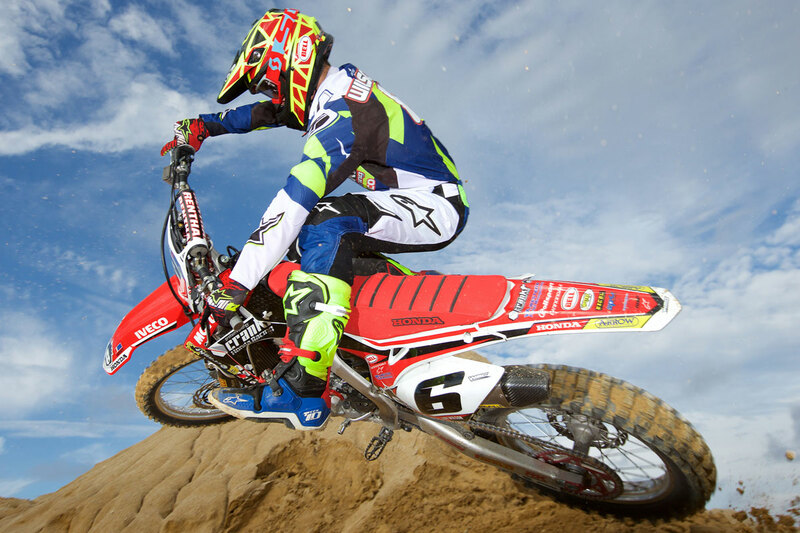 A: Crankt Protein Honda Racing is all-new for this season, now operated by Motologic as Honda Australia’s factory team. It’s actually the existing and very successful Australian Superbike team, which has taken over the motocross operation from Yarrive Konsky’s company to streamline the brand’s racing activity. They have Pip Harrison on board to manage the motocross operation, so experience is on their side, and with MX2 champion Jay Wilson signed alongside proven MX1 race winner Dylan Long, it’s going to be a fascinating team to watch progress. 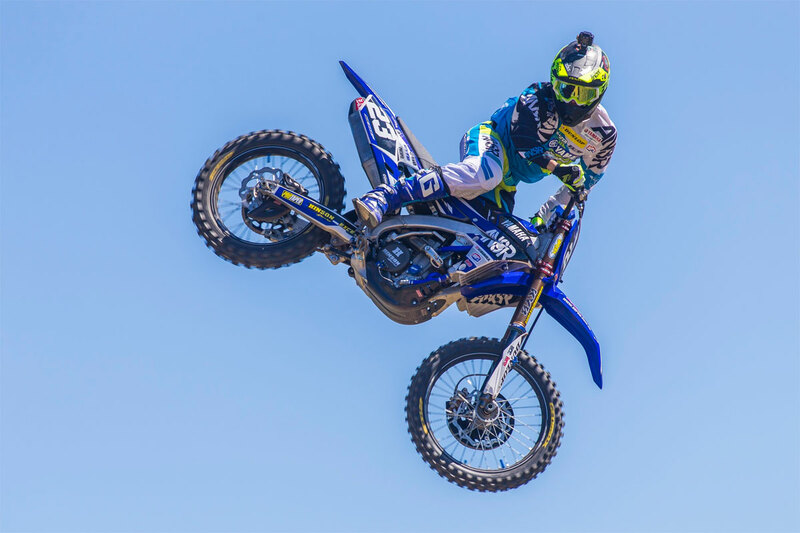 Q: Is it possible for Reardon to back up his SX title win? A: There was little doubt that Reardon had the speed outdoors on most occasions in his comeback one year ago, but the rust from two years and more in retirement was particularly evident during the nationals. Now, with a supercross title to his credit, Reardon knows he can win at the highest levels of the sport locally again and that will be a major confidence boost (even for a rider with multiple titles to his credit) entering this season. Top picture :Image: Greg Smith (iKapture).